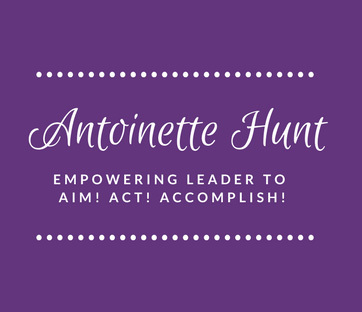 Antoinette Hunt, “The Action Queen” is a vibrant speaker & trainer with a passion to ignite the foundation of leaders, entrepreneur and small businesses to Take Action to become power producers. She is the owner of “The Action Nation” a Business and Life Management Firm, Empowering Leaders to Aim! Act! Accomplish!